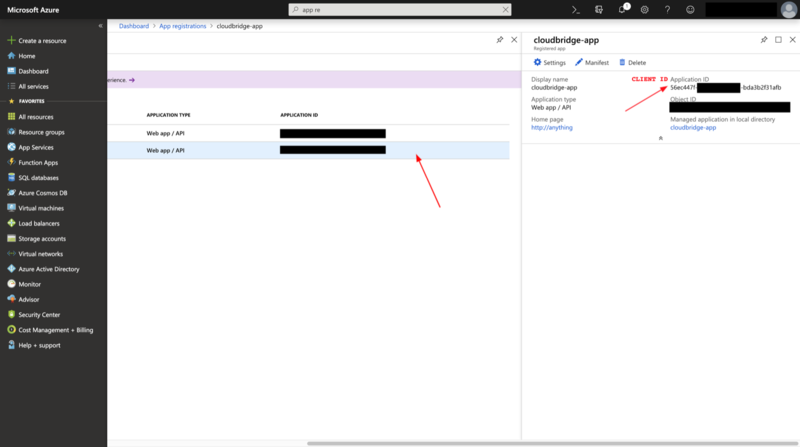 To initialize a connection to a cloud and get a provider object, you will need to provide the cloud’s access credentials to CloudBridge. This page will walk you through the process of procuring credentials on different providers. 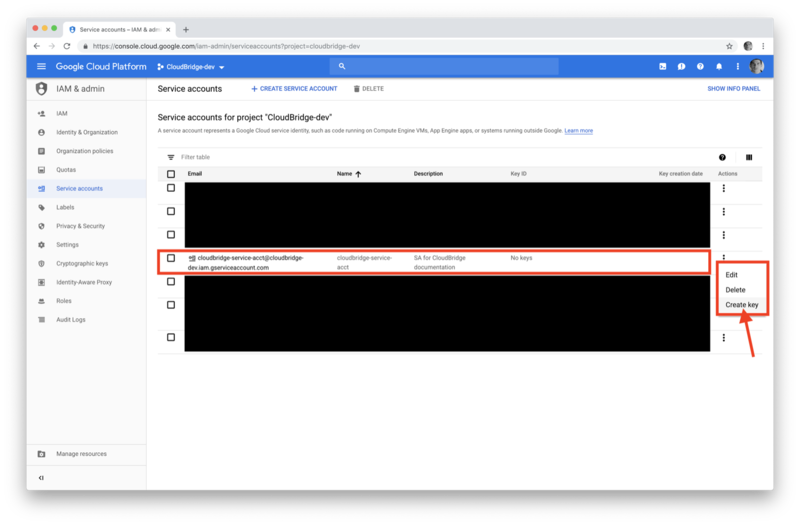 For more information on using the obtained credentials with CloudBridge, see Connection and Authentication Setup page. 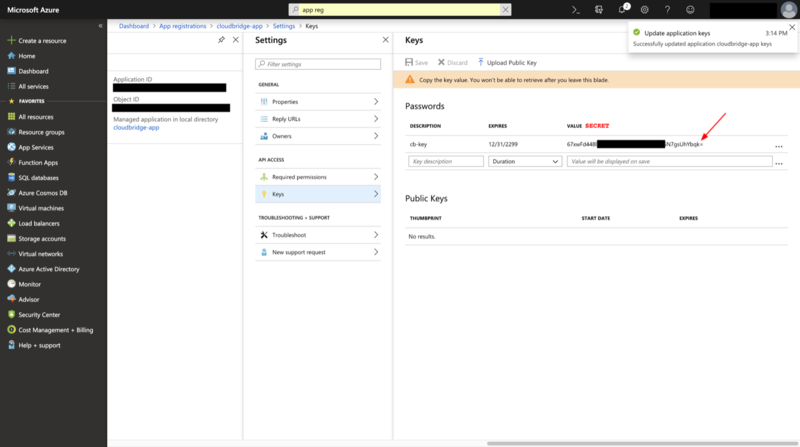 The page linked below from the Microsoft documentation was used to create this section, and can be followed instead of this CloudBridge-specific documentation to procure Azure credentials https://docs.microsoft.com/en-us/azure/azure-resource-manager/resource-group-create-service-principal-portal. 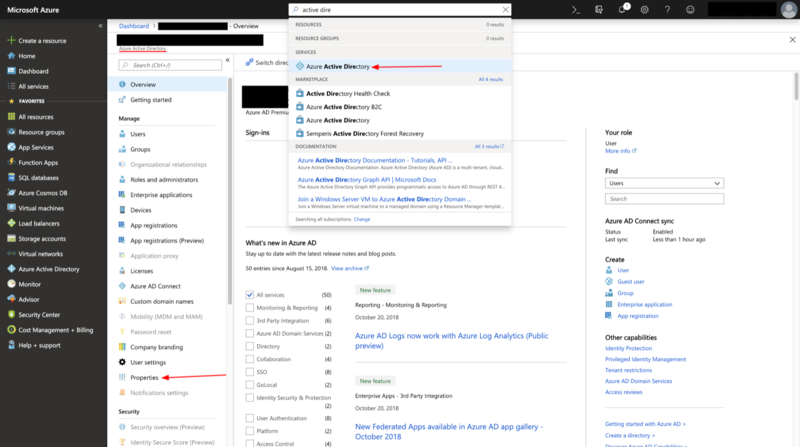 In order to follow the instructions below, one needs a Microsoft Azure account and an active Subscription, as well as web portal access: https://portal.azure.com/ The following section will walk you through the process of creating an application, which is required for API access, as well as help you locate all required Azure credentials for API access via CloudBridge. Azure credentials require a Subscription ID which can be procured through Subscriptions in the Azure portal. 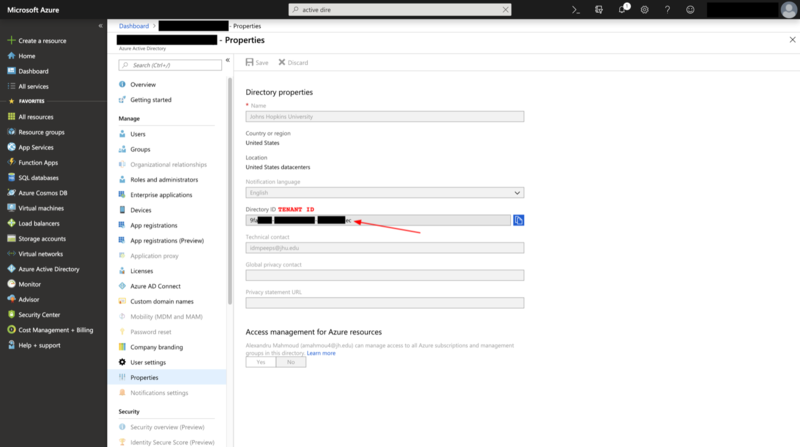 Another piece of credentials that already exists on any Azure account is a Tenant ID which will correspond to the Active Directory ID , which can be procured through the Azure Active Directory’s Properties . 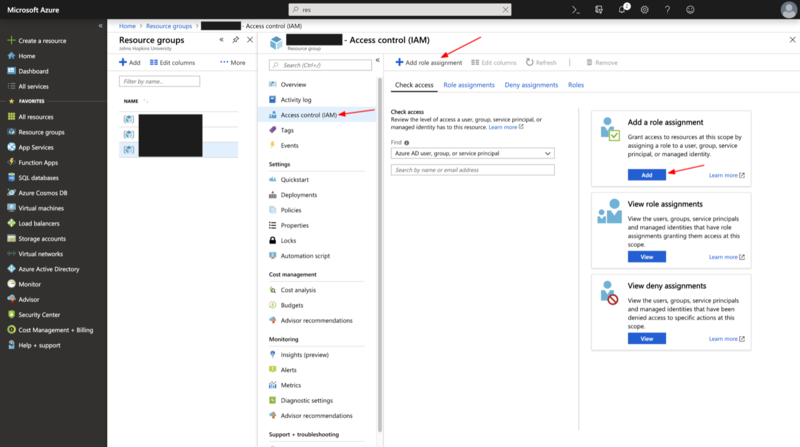 The Azure Active Directory can be access by searching, or by choosing Azure Active Directory in the All Services window. 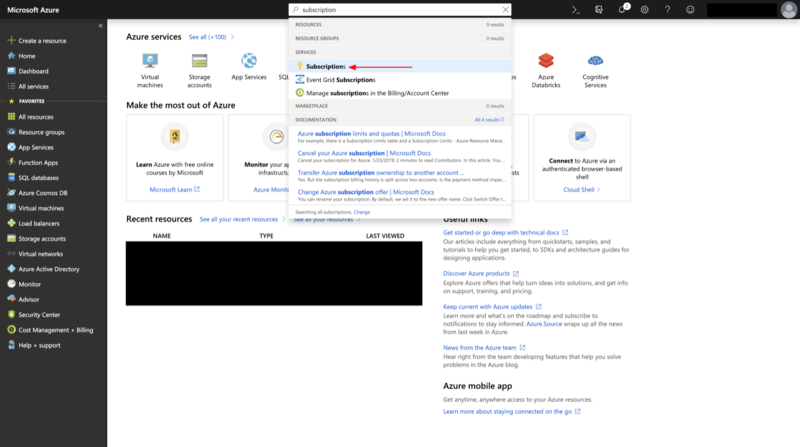 Azure Active Directory is also a default favorite on the sidebar. In order to access the API, an application needs to be registered and a key needs to be created. 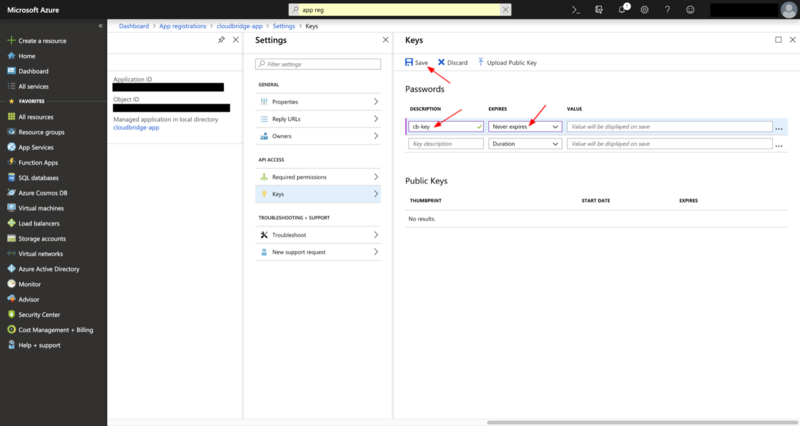 After creating an application through the App Registrations window under the Active Directory , the Application ID of the app will correspond to the Client ID in CloudBridge, and the generated value of its key, will correspond to the Secret . 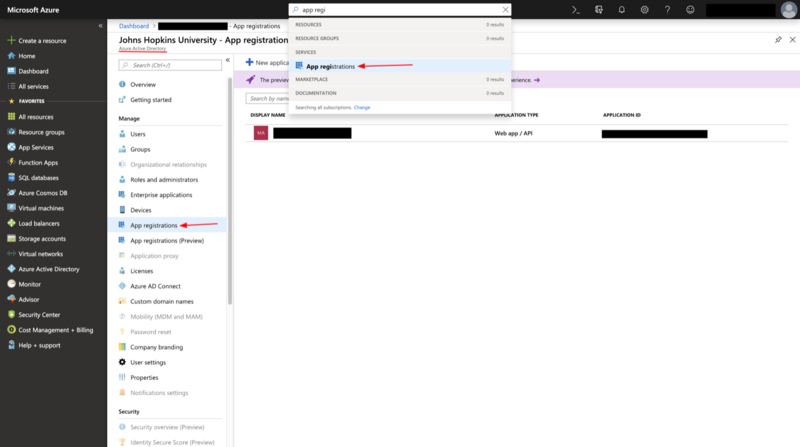 App Registrations can be access by searching, or through choosing App Registrations under Azure Active Directory . The Name has to be unique within the subscription and will be used to identify the Application later on. The Sign-on URL can be any URL-looking string. It does not have to point towards anything. 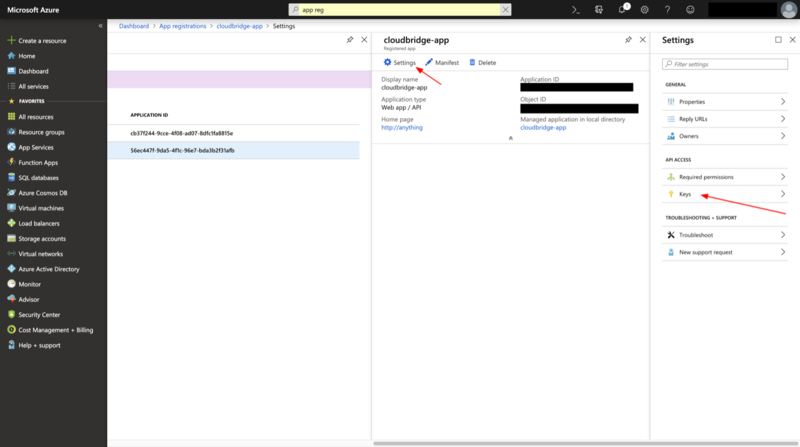 After creating the application, one must select it, after which the Application ID will map to the Client ID in CloudBridge. In the application’s Settings panel, under the Keys section, one will be able to create a new Secret . Any name can be given to the key, and any expiration date, after which the Save button will generate the Key which will correspond to the Secret in CloudBridge. The value of the key will correspond to the Secret in CloudBridge and needs to be saved at creation-time. Finally, in order to have appropriate permissions, you must assign an appropriate role to the newly created application. Permissions can be assigned at the level of the Subscription, or at the level of each Resource Group. 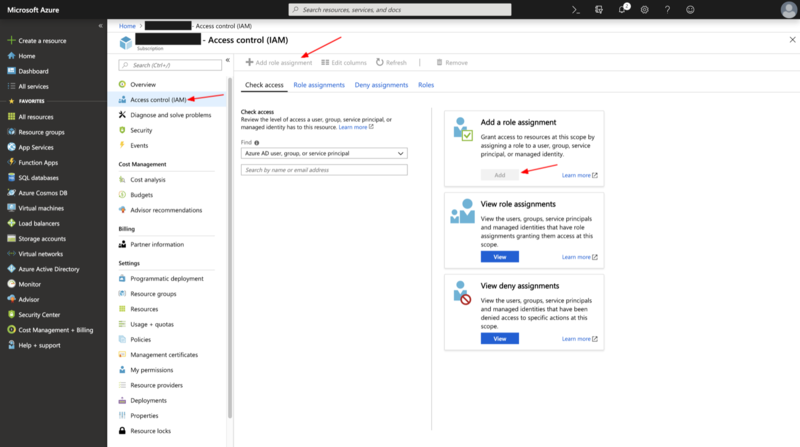 Contributor access is recommended for general use in order to have sufficient permissions to create and manage all types of resources, but specific roles can also be assigned for more limited access. Subscription-level access will allow the application to access resources from multiple resource groups. 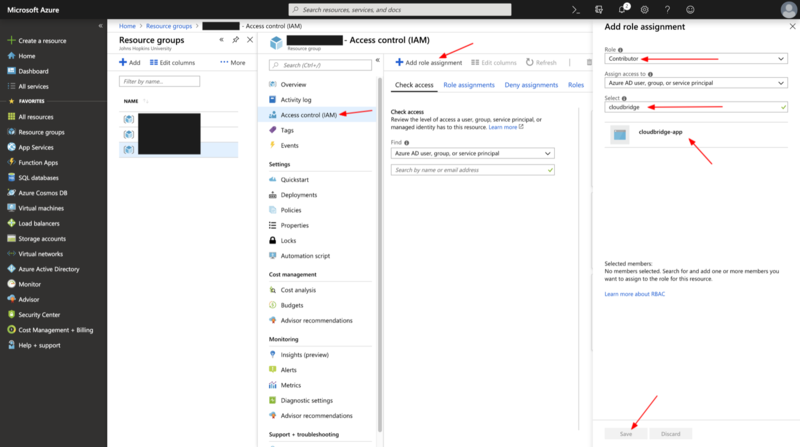 When roles are set at the level of the Resource Group, one must specify this Resource Group as part of the credentials, as the application will not have enough permissions to create a Resource Group. 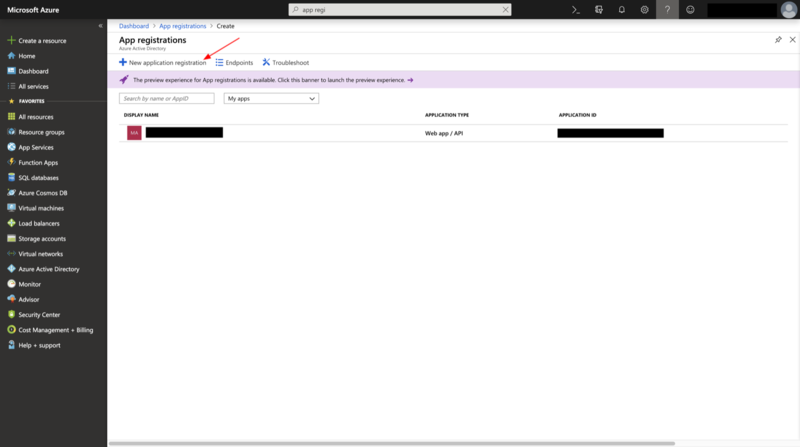 Adding a role assignment to the application will give it appropriate permissions to manage resources. 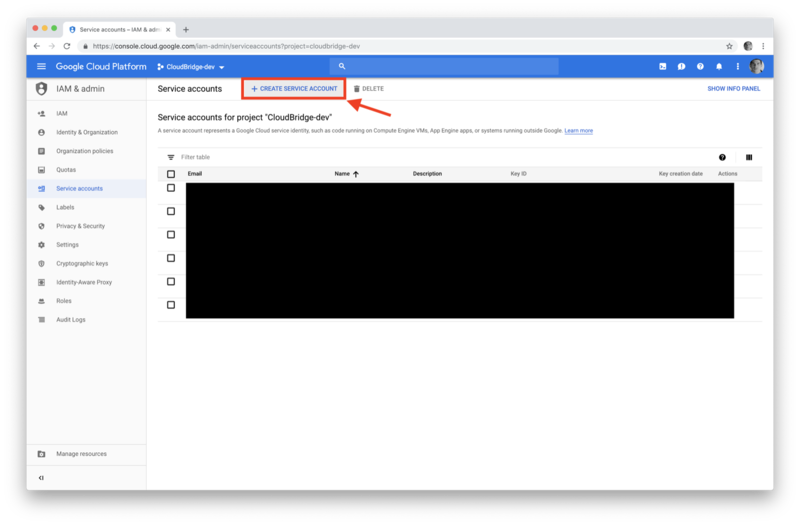 For Google Cloud Platform (GCP), create a service account followed by creating and downloading a key. 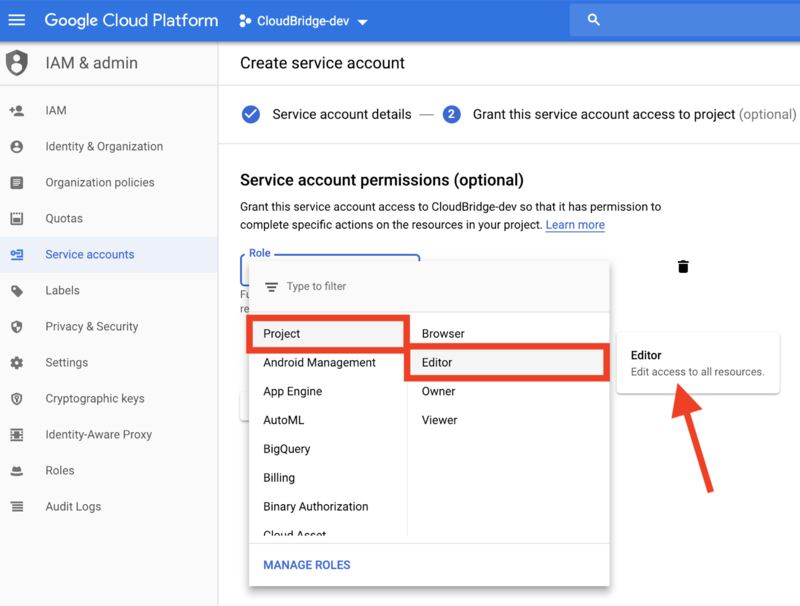 Additional instructions are available at this link https://cloud.google.com/iam/docs/creating-managing-service-accounts#creating_a_service_account. 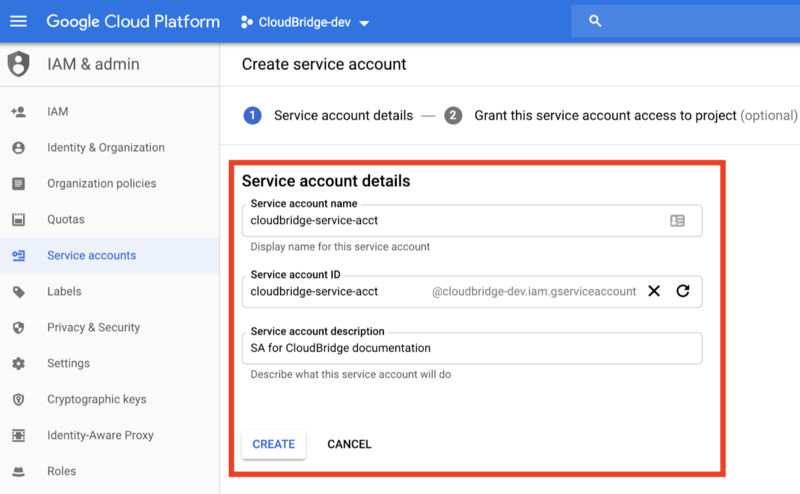 Start off by clicking on the Create Service Account button on the IAM & admin section of the Google Cloud Console: https://console.cloud.google.com/iam-admin/serviceaccounts. Next, we provide a name for the service account and an informative description. Note that the supplied name is used to create an email address for the service account. Once created, this email cannot be changed. We then assign a role to the service account. 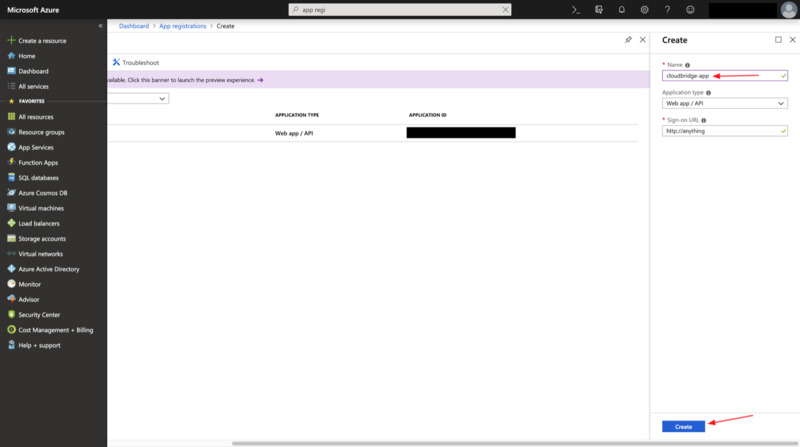 Depending on what you will be doing with the service account, and CloudBridge, you can set granular access roles for the service account. The Editor role on the project is very broad and will allow you to exercise all of the CloudBridge capabilities. After a service account has been created, we need to add a key to it. Finally, choose the JSON format for the key when prompted. 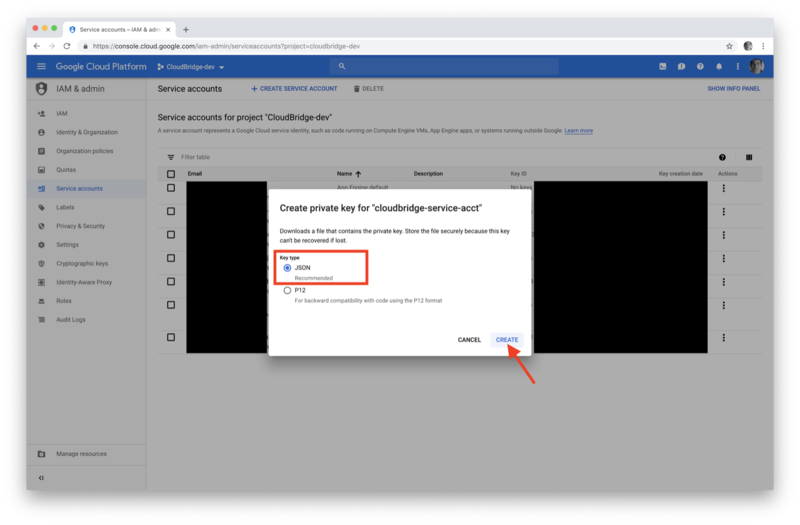 The file that is downloaded will be used with CloudBridge through the variables shown on the Connection and Authentication Setup page. Note that you may have multiple keys associated with the same service account. The JSON credentials file will have a similar form to the example shown below, and can either be passed through an absolute path to the file, or through a variable containing the JSON dictionary itself.